Offering you a complete choice of products which include heavy duty shredders machine, pharma waste shredder (rc 400), dual shaft shredder, e waste shredder machine, blister shredder machine and carton shredder machines. We are engaged in providing a wide range of Heavy Duty Shredders Machine. We believe in maintaining long-term relations with our clients by finding a real solution for guarantee, growth, and reliability of our products. It is mainly designed to shred high volume of cellulose sheets, paper pulp sheets, corrugated boxes, mono cartons etc. We can design and manufacture heavy duty shredder machine from feed size of 300 mm to 1200 mm or above to fulfil clients requirement. We provide our customer Pharma Waste Shredder, which is mainly by pharmaceutical companies to shred blister packed with and without medicines, glassine, mono cartons, aluminium foil, all foil, outserts, inserts, leaflets, corrugated boxes etc. 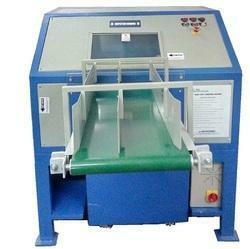 These machines are also known as Blister Shredder Machine, Glass Shredder Machine, etc. 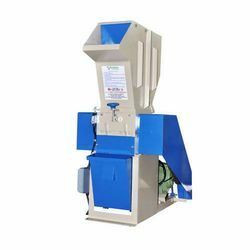 We are suppliers of different types of Dual Shaft Shredder which are used for Ampoules, glucose bottles,syringes, catheters, salines bottles, saline tubes, Blister Packs, lami tubes , Plastic jars, pet bottles, Food waste, Hospital Waste , Syringes PVC blister, Vials , Papers , Carton , Fiber material ,Toothpaste waste tube , Bones , Cardboard, Plastic etc. 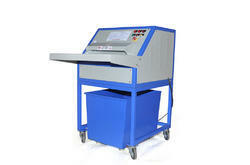 We are suppliers of E waste Shredder Machine it Can Shred PCB, Mobile equipment, Mobile screen, Tabs etc. Blister Shredder Machine is used by pharmaceutical industries to destroy all rejected blister packs generated during manufacturing. 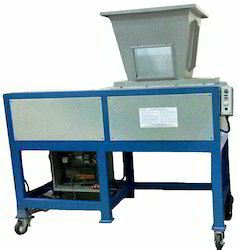 This machine can shred empty blisters or with medicines packed in it. We are one of the leading manufacturers, exporters, suppliers, and traders of Carton Shredder Machines. Offered shredders are designed to provide maximum functionality and high durability. Carton Shredders find a vast application shredding all types of mono cartons, and are immensely appreciated for their usage in reducing the volume of large carton boxes and general packaging. Carton Shredder can shred all types of mono cartons. It is also known as corrugated box shredder machine. It is a continuous and industrial heavy duty shredder machine. We are leading manufacturer and supplier of Cross Cut Shredder. Cross cut heavy duty shredders are manufactured with a variable capacity starting from 3 HP to 20 HP. Suitable for Shredding Garden Waste, Municipal Waste, Bio-Medical Waste, Etc. 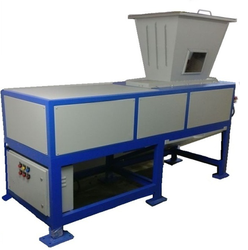 Laminate Shredder Machine is also known as Plastic Film Shredder. It is also known as Polyester Film Shredder/BOPP Film Shredder, Pouch Shredder, etc. 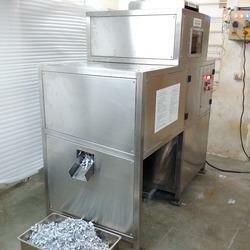 Plastic Film Shredder is used in printing and packaging industries. In the printing and packaging industry during production large volume of misprinted laminates and empty wrappers are produced, which cannot be dumped or sold directly to scrap dealers due to fear of misuse or duplications and hence to shred these laminates and wrappers, Plastic Film Shredder is used. Sim Card Capacity per/hr 80Kgs/hr. 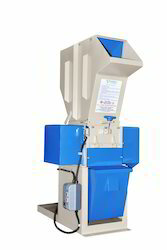 We at Raj Electricals are manufacturers of Sim Card Shredder Machine. Can shred all types of SIM CARDS, Debit / Credit / ATM Cards in large volumes. 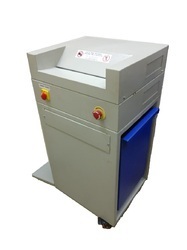 We are the leading supplier of Paper Shredder Machine (Small) made available to our clients at competitive prices. 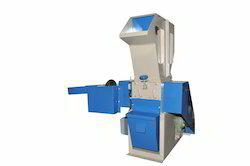 We are the leading supplier of Dual Shaft Shredder DS2002 made available to our clients at competitive prices. 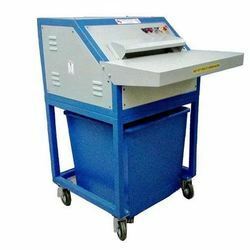 Memory Card Shredder Machine are manufactured by us using the high-quality raw material. It is used to destroy high volume memory cards which are either rejected during manufacturing or having stored data in it. We offer a comprehensive range of Shredder Machines for Packaging Industry. 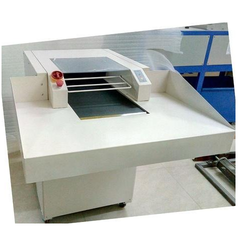 These machines are manufactured by using excellent quality components and the latest technology. Shampoo recovery machine recovers shampoo from rejected sachets. It separates wrappers and shampoo.Mainly used by shampoo manufacturing company to recover shampoo from rejected sachets which are produced during manufacturing. 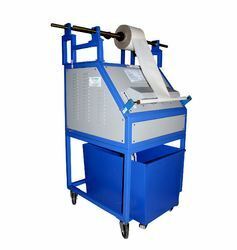 300mm Feed width Shampoo recovery Shredding Machine from its Sachets with 2HP A/C Motor with gearbox & 5HP A/C Motor 3phase 415/volts with safety interlocks, All contact parts will be of SS 316L or SS 304 with 2 nos collection vessel with control panel having indicator lamps, push buttons & control circuit of 24V DC.